Religion • Faith's struggles in Russia lend to event theme of "Don't Give Up! Never Give Up Hope!" 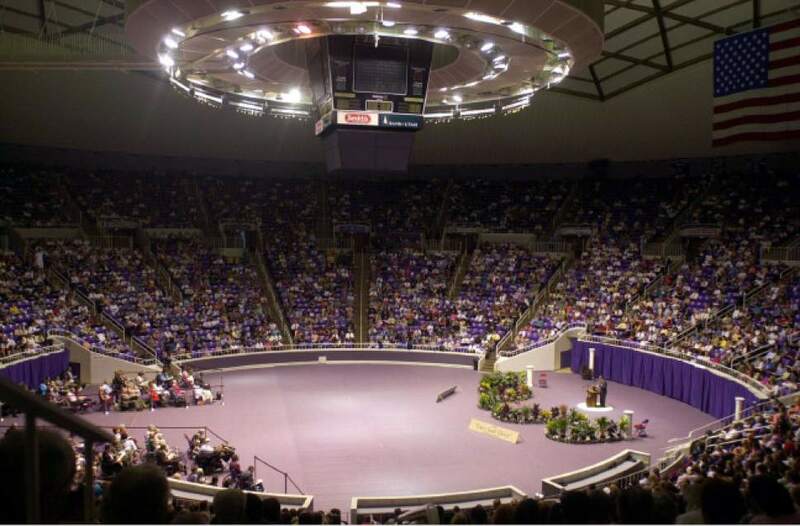 Jeremy Harmon | Tribune file photo Thousands of people attend a convention for Jehovah's Witnesses at the Dee Events Center in Ogden in 2003. A similar gathering is planned for this weekend. Given the persecution and challenges Jehovah&apos;s Witnesses are experiencing in the mission fields of Russia, the theme of the faith&apos;s upcoming regional conventions in Ogden seems poignantly appropriate. "Don&apos;t Give Up! Never Give Up Hope!" proclaims the literature for the Friday through Sunday English convention and the July 7-10 Spanish language gathering. Both conventions will be held in Weber State University&apos;s Dee Events Center. A combined 10,000 Jehovah&apos;s Witnesses and guests from Utah, Nevada, Montana and Idaho are expected to attend. Admission is free. Leaders and attendees will focus on inspirational talks, multimedia programs and Bible studies, but the plight of their co-religionists in Russia will remain in their thoughts and prayers. In April, Russia&apos;s Supreme Court declared the sect an "extremist group," said the faith&apos;s Salt Lake City spokesman Ted Koerner. "That put us on the same list as ISIS, a terrorist group." Youths in the faith have been humiliated by Russian schoolteachers in classes, and some members&apos; homes have fallen prey to arson. Police also have raided members&apos; worship services and homes; other Witnesses have been beaten on Russian streets. Being in the same category as terrorists baffles members of the sect. "We&apos;re basically a pacifist group," Al Williams, coordinator for the Ogden conventions, said in noting his faith abhors violence and does not allow members to serve in the military. "We don&apos;t advocate government overthrow anywhere in the world. We&apos;re neutral politically; our hope is in God&apos;s kingdom. But we support the governments under which we live, pay taxes and are law-abiding." The persecution has had odd, confusing counterpoints  with Russian leader Vladimir Putin recently awarding a Witness couple with the "Order of Parental Glory." The award is presented to "model" parents who have raised at least seven children (the couple had eight). Earlier this month, about 70 Witnesses were honored in Oryol for their participation in trash cleanup efforts on that Russian city&apos;s streets. Currently, there are an estimated 170,000 Jehovah&apos;s Witnesses in Russia. The faith reports about 8.3 million "actively preaching" adherents worldwide, with about 2.5 million in the U.S.; overall attendance at Kingdom Halls (their places of worship) globally is roughly 20 million. The region Utah is in has more than 10,000 "active preachers," those going door to door in search of potential converts. That category is the closest Jehovah&apos;s Witnesses come to the concept of membership, though most congregations typically have total attendance at meetings double the number of active proselytizers. Williams said that the faith&apos;s numbers have remained relatively constant in Mormon-dominated Utah through the years, though the 20 baptisms planned this weekend will add to the rolls. The Ogden meetings  and similar sessions on the same dates at Dixie State University&apos;s Burns Arena in St. George  are among 500 planned nationwide. Many more are scheduled at myriad locations around the globe. Perhaps best known for their door-to-door proselytizing and distribution of Watchtower and Awake! magazines, Jehovah&apos;s Witnesses trace their non-Trinitarian, apocalyptic faith to Charles Taze Russell, an 1870s "restorationist" minister. The faith uses its own translation of the Bible, the New World Translation of the Holy Scriptures, and maintains the deity should be properly addressed as "Jehovah" in worship. Witnesses eschew Christmas, Easter and birthday celebrations, which they consider to be of non-Christian, "pagan" origins. Adherents also object to military service on religious grounds; decline to salute flags; recite the Pledge of Allegiance or make other oaths; and their resistance to blood transfusions in general  even in life-or-death situations  has grabbed headlines, though members are allowed to accept blood plasma at their own discretion. Witnesses differ from mainstream Christianity in their rejection of the traditional concept of the Trinity and do not accept the immortality of the soul. Rather, all people who die cease to exist; all will be resurrected for judgment, with the faithful populating a restored, holy Earth. Nonbelievers will be physically and spiritually annihilated  not condemned to a fiery, eternal hell, according to the faith&apos;s website.